I have but one little plant that has survived the winter, and I bet you can’t guess which one it is. I’m totally kidding, it’s totally obvious. It’s the only fresh herb I’m using these days. 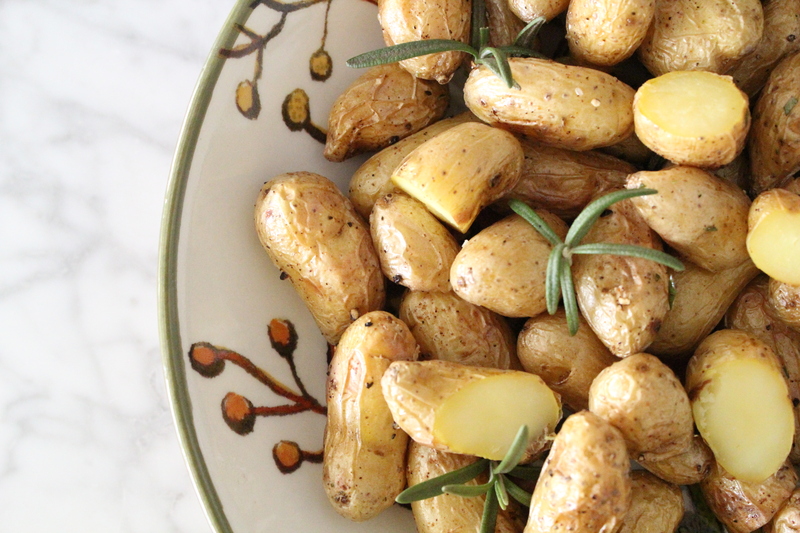 In other news, these potatoes are awesome. Excellent warm from the oven, great the next day cold. They work with rosemary, without rosemary or with any herb that happens to have survived your winter. recipe notes: This is easily doubled or tripled. 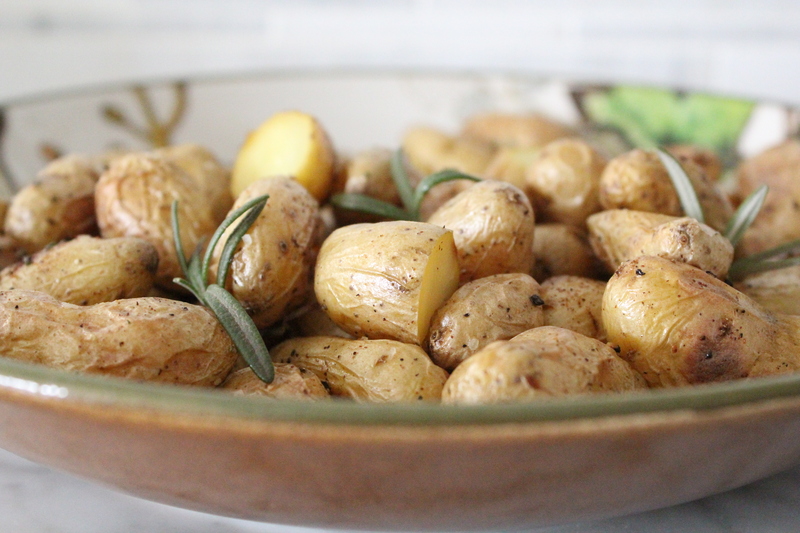 I love the itty-bitty small yellow potatoes but any will work here, just be sure that if you’re cutting up bigger ones that they’re uniform sizes. As mentioned above, they’re great hot from the oven and equally delicious the next day, cold from the fridge (or a lunchbox), for lunch. 1. Preheat oven to 375 degrees F. Line baking sheet with parchment or silpat liner. 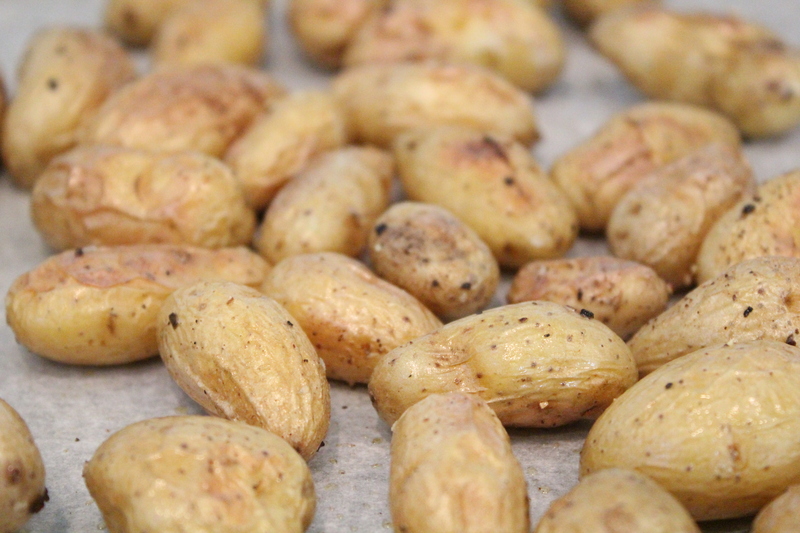 Rinse potatoes & pat dry. Drizzle with olive oil to lightly coat. Toss with salt, pepper, paprika. 2. Roast in single layer on sheet pan for 40-45 minutes or until soft and browned, tossing halfway through if they appear to be cooking unevenly. When done they should be easily pierced by a fork or knife. 3. Remove from oven, toss with butter or olive oil and fresh herbs.